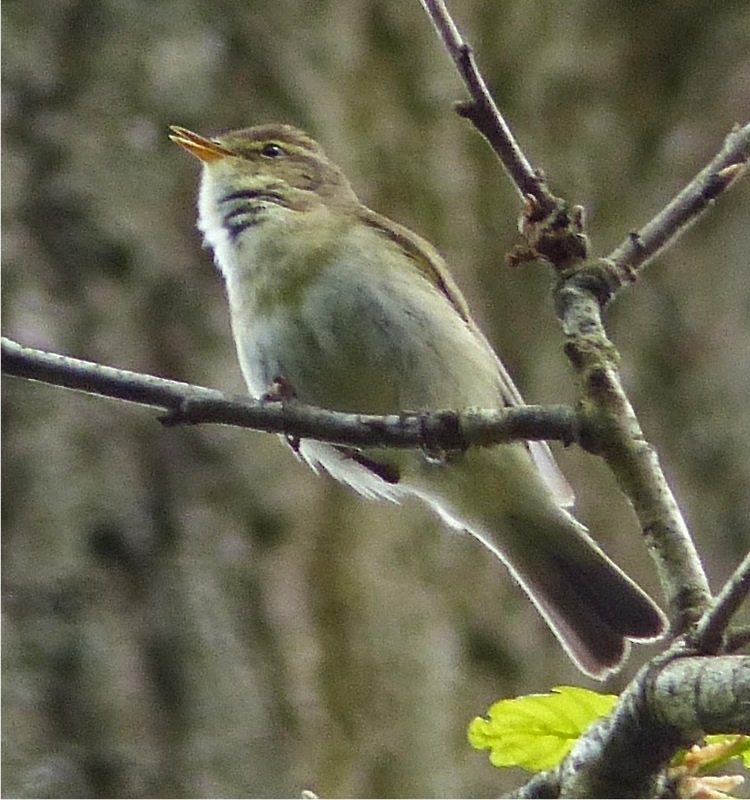 An odd singing Phylloscopus warbler was found by Chris Beach at Sherardspark Wood on 25th April, photographed above by Mike Ilett. The distinctive song initially led to thoughts of Iberian Chiffchaff but prolonged listening to the bird revealed variation. The start of most song phrases sounded rather like an Iberian but the endings were variously Willow Warbler in quality. The song was recorded and converted to a sonogram using Raven Lite to compare with Chiffchaff, Willow Warbler and Iberian Chiffchaff. 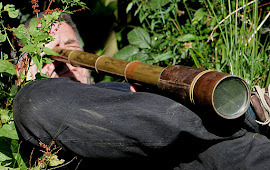 The image below (taken from The Sound Approach to Birding) shows sonograms for Chiffchaff and Iberian Chiffchaff. The top two sonograms below are from the Welwyn Warbler, with a Willow Warbler shown at the bottom. The top sonogram is the most frequent song of the Welwyn Warbler, whilst the second is a longer song version with a Willow Warbler-ish ending. The Welwyn Warbler appears to lack the distinctive features of Iberian Chiffchaff shown above and is also notably higher in frequency (up to 8 kHz). An interesting bird, perhaps most like a Willow Warbler with a sense of Spanish humour.